A study recently done by the Standish Group 2015 Chaos report (based on the criteria of on time, on budget with a satisfactory result for 50,000 projects around the world, ranging from tiny enhancements to massive systems re-engineering implementation) indicated that only 29% of all projects were successful, 52% were challenged, and 19% failed1. It is important to note that smaller and moderate sized projects, as well as those that took an agile approach, had a higher rate of success. Larger projects, on the other hand, had a very high rate of failure. To state it simply, we can say that a project has failed if it did not meet its intended objectives. As stated above, the Standish Group in 2015 measured projects on being delivered on time, on budget with a satisfactory result. Projects are typically initiated to satisfy a business objective, which, in turn, could be part of a larger organizational strategy. At the same time, the project must also meet most stakeholder expectations. If the project can meet both the business objectives and all stakeholder expectations, then we can consider it a success. However, the picture is not as clear as we wish it could be. Most of the times, we do not have clear objectives (scope) to go by. In other instances, we work in a culture where stakeholders are constantly changing their expectations and adding more as the project progresses. Sometimes, perception plays a role. Consider a surgery where the surgical procedure is successful, but the patient still dies. Did the surgery fail? In the realm of projects, this might be a project that satisfies all the criteria of success but still carries the sense of failure because that’s what people think it is. People in business have been saying “perceived” equals “real” for many years, and we can’t change that. So if stakeholders, business people, financial managers, end users, peers and superiors all think your project has failed, it surely has. Late projects, projects over budget, projects that don’t deliver the business value they promise, and obviously projects that deliver the wrong product…these are all failed projects. Skilled staff: is highly proficient in the execution of the project’s requirements and deliver of the project or product. Organizational Culture – This is at the heart of most project failures. Very few organizations have the infrastructure, education, training, or management discipline to bring projects to successful completion. Since the organization sets the company policies by which the project team will have to abide, a lack of knowledge about project management will result in lack of consideration for what projects need in order to succeed. The end result of this is inefficient authority systems and gaps in approval processes and weak support for the project team within the organization. 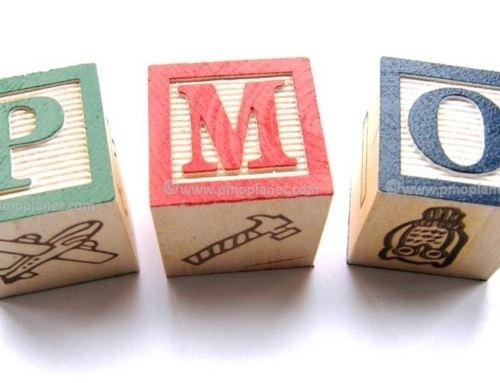 The best solution is to look into creating and setting a Program Management Office (PMO) that can control the project management efforts centrally and provide the needed support for the project teams. Inadequately Trained and/or Inexperienced Project Managers – This is very wide spread, and especially in developing countries where business grew faster than the organizational infrastructure itself. So, we find companies that have grown to over 100 employees, with about 20 project managers who have taken on such roles from engineering or other departments. These project managers are clearly not prepared to handle projects that require intricate dependencies, planning, estimating and collaboration amongst project teams. They also lack the proper knowledge and certifications that should be expected for them to perform their tasks successfully. Professional training should be provided and, at a minimum, there should be a few PMP certified professionals amongst the team. This will ensure that they at least know what the best practices are. Inadequate Tools and Methods – As many organizations grow, they tend to make do with what resources and processes they have in order to deal with project challenges. However, each resource may be working on a different wavelength and using different tools. This results in many documents being created, several procedures for the same task, and multiple software and manual tools being used to plan and estimate projects. Most of these software tools could be quite outdated and need to catch up with the times. A good start to repair this problem is to look to project management software solutions that the team can adopt. Poor Requirements Management – This should actually be almost at the top the list. Poor requirements management can be attributed to one out of each three project failures. Poor requirements gathering could mean that we either did not collect complete requirements or we left out some key stakeholders. This means that either we will deliver the wrong product, miss out some important features and functions that should have been there, have to make constant changes in the scope, or even drop the project once the true scope and feasibility is clear. Poor requirements are like a cancer that will most likely kill any project’s chance of success. Boston Management Consulting International offers training for business analysts in requirements gathering and can also help them attain certification from the IIBA. Poor Planning and Estimating – Planning and estimating require the necessary knowledge and expertise. Poor planning can lead to under-estimations of efforts and budgets, as well as fatal oversights. Planning should be practiced by well-trained and certified planners. Get them trained and certified! Poor Risk Management – Most organizations do not want to deal with risks. There have been instances where project managers even hid the risks in order to keep their projects alive. The general perception is that if the risks are brought to light, the project could be looked upon as a failure and an expensive and risky one. However, poor risk management can result in huge losses and even in companies going under. It is strongly advisable that risk management be incorporated into the methodology of each project organization. Additionally, there is specialized software for Risk Analysis, as well as risk management certification training that can prepare a risk professional to take on such important tasks.